They say death comes in threes. That adage rings true today in the sports community with the deaths of Muhammed Ali, Kimbo Slice, and Gordie Howe all within a week. 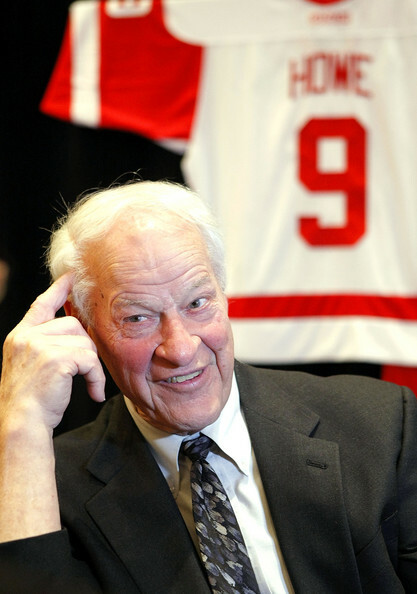 It has been confirmed that Gordie Howe has passed away June 10 2016, after battling declining health that included dementia and a major stroke that he suffered in October of 2014. 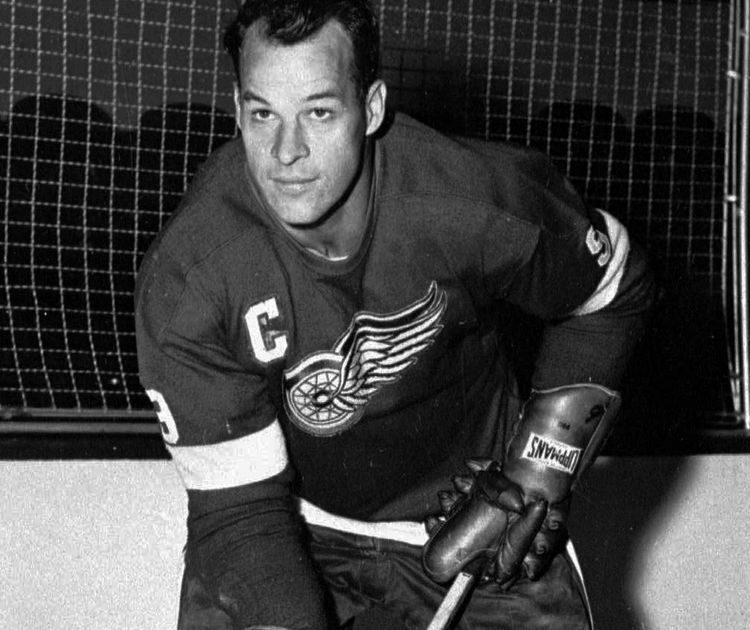 The Saskatchewan born player affectionately nicknamed “Mr Hockey” made his debut in 1946 for the Detroit Red Wings and would play for the team until the 1970-1971. During Howe’s tenure in Detroit he would score 20 or more goals in 22 straight seasons, an NHL record. Howe would lead the Red Wings to 4 Stanley Cup victories, and 7 straight first place finishes from 1948-1955, and with Production linemates Sid Abel and Ted Lindsay they would finish 1, 2, and 3 in scoring during 1949-50 season. Howe during his time with the Red Wings led them to become constant contenders until the time of the expansion when the league expanded from 6 to 12 teams. He would retire after the 1970 season due to a wrist problem and took a job in the Red Wings front office, turning down a New York Islanders head coaching gig. Howe didn’t stay retired for long and after 2 short years he returned to play for the newfound WHA playing 6 seasons and scoring 508 points. Howe would return to the NHL for the Hartford Whalers in 1979-80 scoring 41 points in 80 games at the ripe age of 51. Howe was selected to the All-Star game that season by legendary head coach Scotty Bowman where he would play against the second youngest player to play in the All-Star game; a 19 year old Wayne Gretzky. 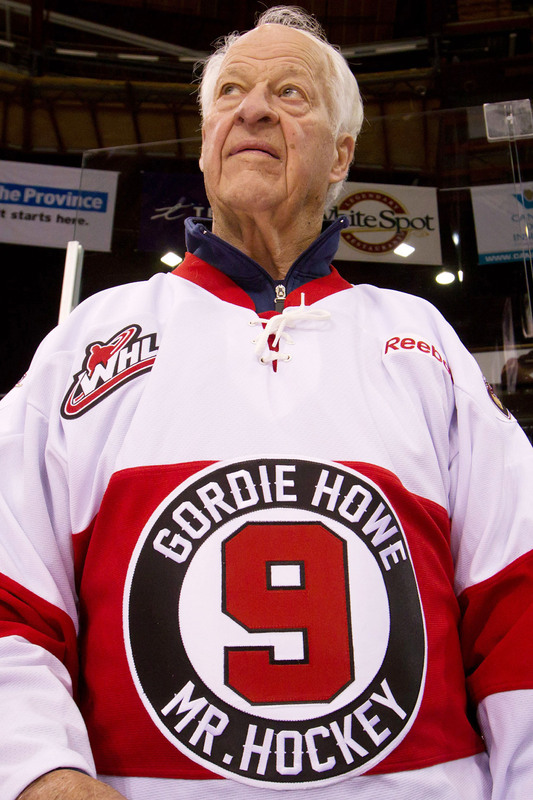 Gordie Howe would retired after that season until returning for 1 game for the Detroit Vipers of the IHL in 1997. At almost 70 years old he played in 1 shift and became the first player to play in 6 different decades spanning from the 40s to the 90s. Howe ranks 4th in career points despite playing in the defensive era of hockey and before factoring in his WHA totals, and before the dominance of Wayne Gretzky he held a number of NHL records including goals, assists, and points. Not to be outdone by “The Great One”, Howe did somethings Gretzky could never do including leading the NHL in games played and being in the top 5 in scoring 20 consecutive seasons. The legend of Gordie Howe grew more when in 2014 he suffered a stroke, and while the hockey community thought this could be the end, he fought through and survived. Howe’s toughness and resiliency has never been questioned, for in the 1950 playoffs Howe suffered a fracture in his skull, a fracture so bad he needed to be rushed to the hospital for emergency surgery to reduce the swelling on his brain. Howe would return the next season to reclaim the scoring title with 86 points, 20 more than anyone else in the league. Howe truly is one of the greats arguably a top 3 player of all time, but unquestionably a top 5. The hockey community, especially in Detroit where he is revered above all others, mourns the loss of an all time great player and a true champion both on and off the ice. He was an icon who will never be forgotten. Rest in Peace Mr Hockey. You will be missed. Next Article » Where do the USMNT go from here?